UPDATE: **The parade has been moved one block and will now started at 11th Street and Hennepin Avenue and stretch down Hennepin Avenue to 7th Street. 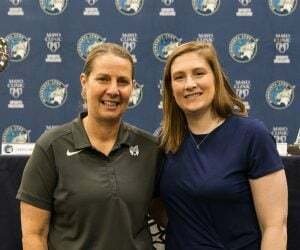 WHERE: Parade: Route will begin on the corner of 12th Street and Hennepin Avenue, stretching down Hennepin Avenue to 7th Street, where it will continue on 7th Street toward First Avenue North. The procession will end as it enters the backstage doors of Target Center. 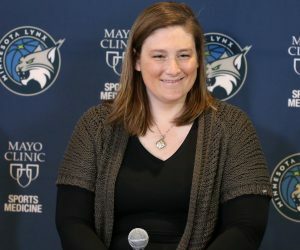 INFO: Fresh off of winning the 2015 WNBA Championship, the Minnesota Lynx will host a parade and championship celebration tomorrow, Friday, October 16 beginning at 11:30 a.m. The parade will begin at the corner of 12th Street and Hennepin Avenue before turning down 7th Street toward Target Center. 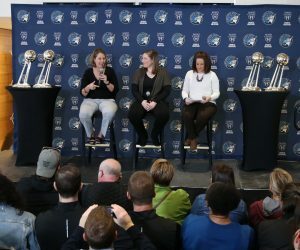 Following the procession, the championship celebration at Target Center will kick off at 12:15 p.m. with a video commemorating the Lynx season. 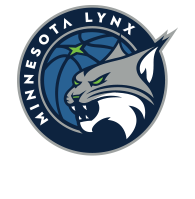 Lynx players and coaches will address the crowd, while radio play-by-play announcer John Focke will emcee the event. Both events are free and open to the public. 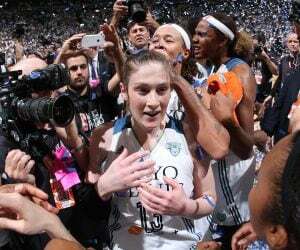 Doors to Target Center will open at 11:30 a.m. for the championship celebration. Fox Sports North will carry both the parade and championship celebration live, starting at 11:30 a.m.